Here are some rhetorical questions about the current state of financial data storage. How is it possible that Bitcoin gets Jamie Dimon's misplaced finger-wagging, while Equifax can lose 140 million citizen identities? Did any of the individual consumers, whose information was hacked, knowingly consent to allow Equifax (or its oligopoly cousins) to indefinitely scrape and store financial and identity data? Did they choose to participate in this particular network, the way that millions of people have chosen to participate in public blockchains? What's even more spectacular is that the but-for causation of the hacking, in addition to the criminal activity of the hackers, was Equifax's negligence in failing to download a server upgrade for more than 5 months. There is no amount of improvement you can add to a horse and buggy for it to keep up with a Tesla. The core competency of this credit reporting agency is meant to be data security and identity. And yet one of its administrative portals used the credentials "admin/admin". Why does Equifax even manage servers when cloud providers like Amazon literally provide modern infrastructure for this use case? There is regulatory promise in Europe to create incentives to modernize such businesses, with the coming implementation of the General Data Protection Regulation that would result in up to a 4% revenue fine for a data breach. That's nearly $150 million on $3 billion + of revenue. But there is a much better solution called blockchain, which has literally been built to be an incorruptible source of truth for digital information. Fintech companies like Token have built GDPR-ready APIs for open banking. Countries like Estonia are already running a blockchain-based national identity systems. Enterprise tech providers like IBM have an out of the box solution for the banking industry. 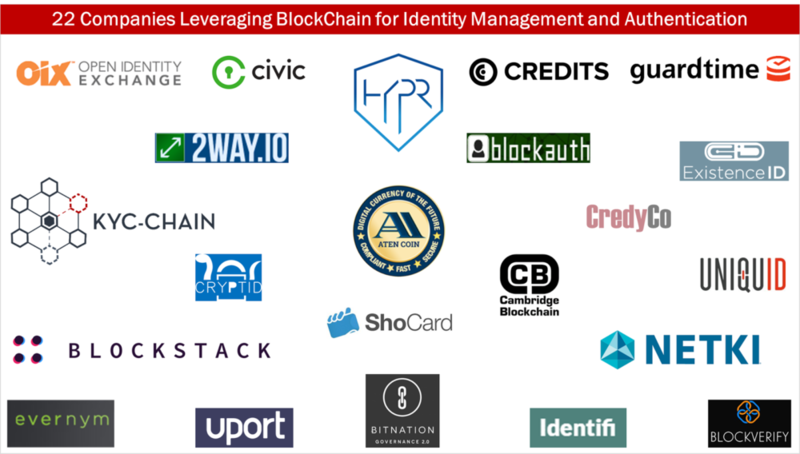 And dozens of crypto-companies are tackling the challenge using public blockchains. It is time to get into the Tesla and put the horse carriage in the shed. Speaking of digital identity, forget the old world of pins and passwords. You are the best measure of your identity -- and you carry it with you just by being who you are. No technology or lookup is needed to map your genetic information to your fingerprint to your voice, these things are just you! And increasingly, financial, social and media graphs are an extension of ourselves in the real world. So shouldn't these things be tied to us like biology? That would be the real-world version of a cyborg, where information streams, from biological to technological, are merged into one. Apple has been setting the bar in biometrics, whether financial services incumbents are ready or not. The thumb is as good for a credit card payment as a physical credit card; 60% of surveyed consumers are indifferent between them. The next step is facial recognition, which users will rely on to log into their phones in the next version of iOS. To do this, the phone projects 30,000 invisible dots onto your face, scans that information with an infrared camera to build a 3D mesh, and finally uses a locally-run neural network to identify you. No cloud, no upload, no blockchain -- all of this happens on the device. This approach is part of a broader melding between the real and digital worlds. Scanning objects, knowing what they are, placing them in a rendered augmented reality -- these are things that in 5 years time will be the new normal. Are bankers ready to flush out decade-old password systems for artificial intelligence-driven authentication? Or is it another case of "wait and see"?